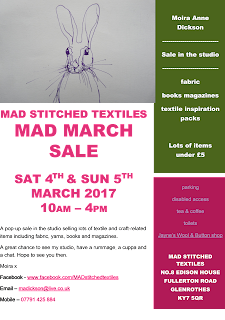 I have decided to have a sale in my studio on the 4th & 5th of March 2017. I couldn't believe how much stuff I had accumulated over the years and as I want to do more classes in my studio I have to get rid of it. Hopefully this little sale will start the ball rolling and be the first of many. 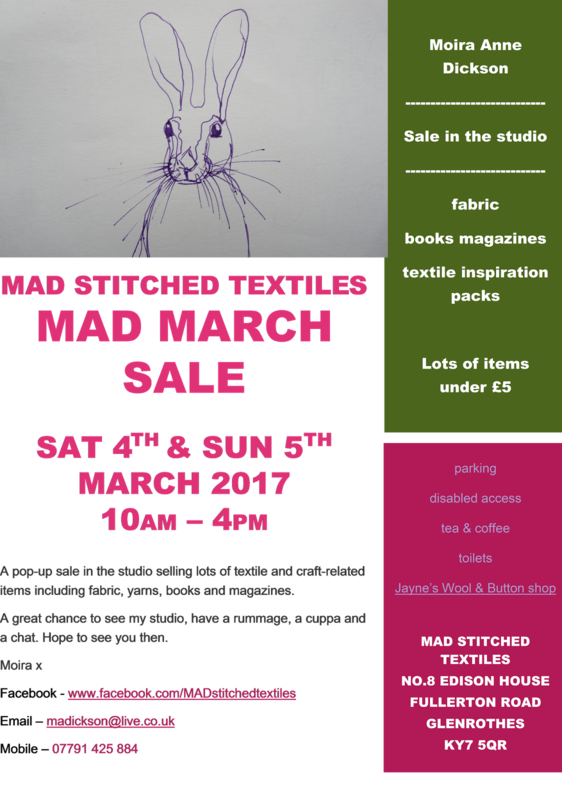 If you are around that weekend and are in Fife, Scotland then why don't you pop along for a look. I'll have the kettle on, so stay a while for a chat.